Bruce M Firestone, broker, is available to assist you with commercial, residential and investment property–sales, leasing, acquisition, financing and disposal. Bruce can also advise you on real estate strategies including retirement planning via acquisition of a highly animated real estate investment portfolio with additional revenue streams. Learn how to analyze and evaluate property properly; how to buy low and add significant value. Learn how to make property work for both you and your community. Optimizing the urban reality—creating new private and public value for your community. Learn how to build an above average real estate portfolio that will provide for you and your family in perpetuity. 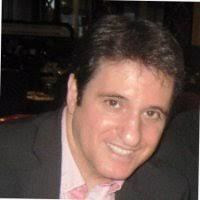 Bruce is himself a successful real estate developer, investor, teacher and broker with a PhD in Urban Economics who can coach you to success in real estate investing. Your properties will gain a new vitality helping not only you and your tenants but also the broader neighbourhood. Bruce has also assisted over 300 business startups in his coaching career. Bruce M Firestone, PhD, is an effective keynote speaker for organizations with a focus on creating new opportunities for their stakeholder group. He writes, speaks and coaches in the fields of urban development, urban design, development economics, real estate and entrepreneurship. His speeches will appeal to both real estate and community/economic development groups. Over the years, Bruce has published many books and novels. From Don’t Back Down, the real story of the founding of the NHL's Ottawa Senators to Quantum Entity, a trilogy about a young entrepreneur caught in a technological revolution where artificial entities invade our world. You can now take home some of my best material in a learn-at-home course format. Want a more personal touch? Why not try my coaching programs. Over the years I've freely shared insights learned over a lifetime in real estate investing, business, and coaching others. Check out some of what I've shared in my video course library. Let me know what else you'd like me to teach by dropping me a line. It's part of my Vision & Mission to teach self-sufficiency by giving people the tools, education and advice they need to build an above average performing, stable real estate portfolio, and thriving personal business. Property animation is the study of real estate to understand its highest and best use. Animating a property serves to boost revenues and create new revenue streams for owners. This improves rates of return and provides a better experience for occupants, tenants, users, property managers and visitors. As a bonus, property animation makes neighbourhoods more active, attractive, interesting, vibrant and safe area for all, resulting in a more environmentally and economically sustainable community. Learn the secrets of true financial independence after the spotlight fades. Want to know how the Ottawa Senators came back to Ottawa? 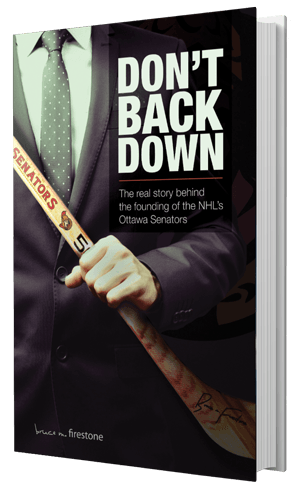 Discover the behind the scenes story in my book Don't Back Down; the real story behind the founding of the NHL's Ottawa Senators. Think you know Real Estate Investing? Courses By Bruce Firestone - AKA "Prof Bruce"